Come help us freshen up our beloved park by raking the sand, pulling weeds, picking up trash, and fixing toys. Coffee will be provided. Then at 12 noon head over to the Fire Department for a BBQ with the firefighters! lunch will be $5 and includes hot dog, chips and a drink. We will also be selling Peri Park tee shirts and tote bags. 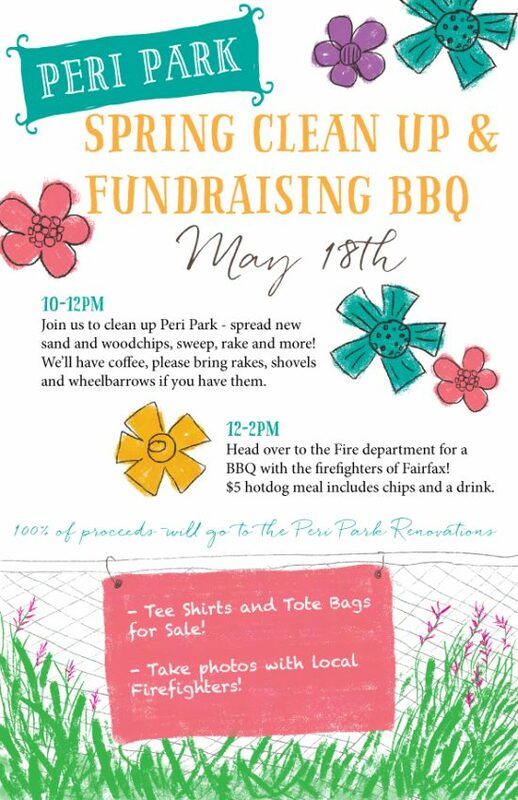 All proceeds will benefit the Peri Park Renovations!